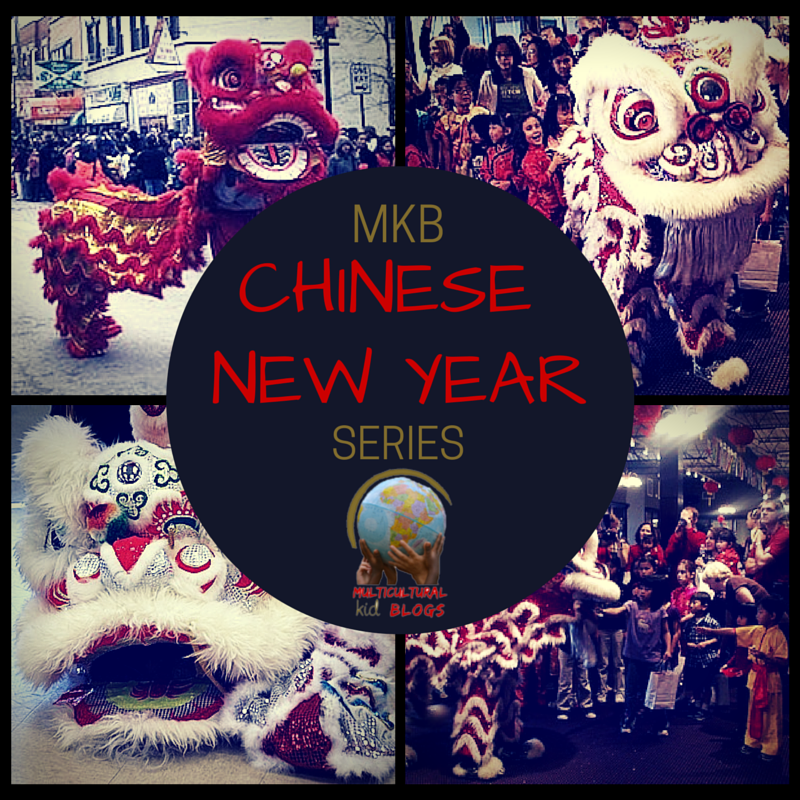 I’m part of the Multicultural Kids Blog Hop for Chinese or Lunar New Year! I hope you enjoy these activities and also get a chance to check out all the other great posts below! There’s lots to do, read, create and explore at this exciting time of year. 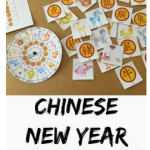 Here are four fun and easy ways to introduce or celebrate Chinese New Year with your child. Every year at the Lunar New Year we enter a different sign of the Chinese Zodiac. In February of this year, we leave the year of the dog and enter the Year of the Pig. People born this year known as “Pigs” or belonging to the pig and have certain special traits, lucky numbers, unlucky number and lucky colors. In fact, if you were born in 2007, 1995, 1983, 1971, 1959, 1947 or 1935 – you’re a pig, too. The next year of the pig will occur in 2031. But wait – there’s more. We’re not just going into the year of the pig, we’ve left the year of the brown Earth Dog and are heading into the year of the Earth Pig. Each year’s zodiac sign is not only one of the 12 animals, but also possesses the trait of one of the five elements – Wood, Water, Fire, Earth and Gold (Metal). Because there are 12 signs and 5 elements, each specific year’s animal such as a water dragon or a Fire Rooster will only come along once every 60 years. In case you were wondering, the 12 signs of the Chinese Zodiac are: Rat, Ox, Tiger, Rabbit, Dragon, Snake, Horse, Sheep, Monkey, Rooster, Dog and Pig. Discover this years animal symbol from the Chinese Zodiac. 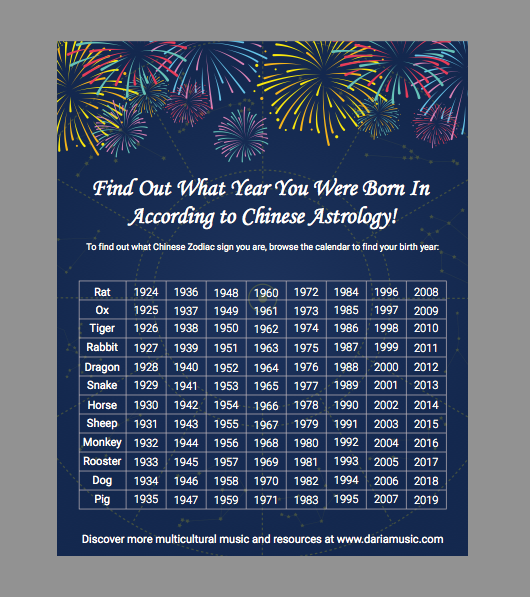 Discover your birth year’s symbolic animal from the Chinese Zodiac. Discover which element is attached to your birth year’s symbolic animal. Look at the special traits associated with your birth year’s symbolic animal. Do they describe you? Look up the lucky colors from your birth year’s symbolic animal. Look up the lucky numbers from your birth year’s symbolic animal. Look up the unlucky numbers from your birth year’s symbolic animal. Try any of the steps above with a friend or family member. Make a chart or drawing of your family’s symbolic animals. Is mom a dragon? Is your baby brother a snake? Up for some coloring? 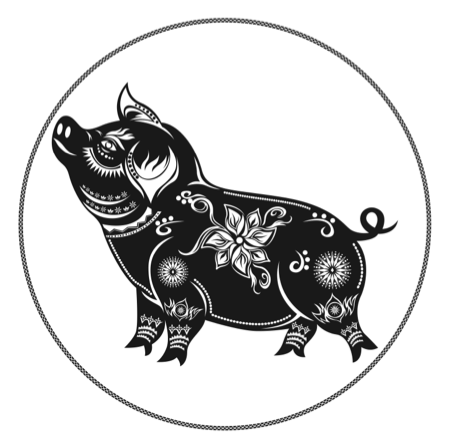 Below under “resources” is a link to this freebie coloring page of a pig created in the style of Chinese paper cutting. 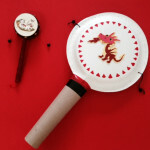 This is a fun design or decoration you can use in your Lunar New Year celebration. 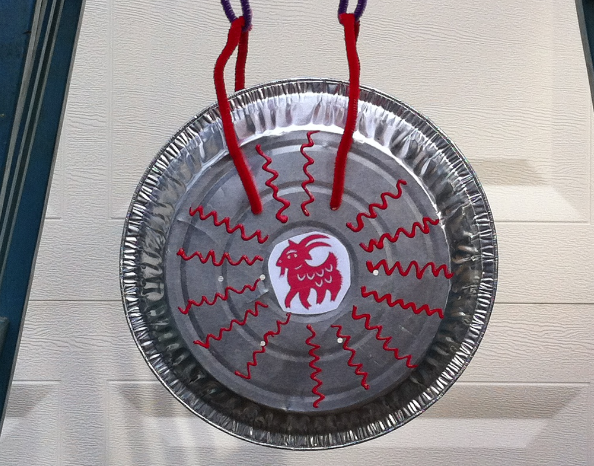 You can use your colorful pig artwork to make your own gong from a pie plate or disposable pan. 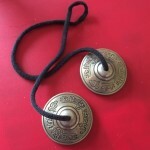 It isn’t hard to find materials to recycle in any home that can be used for the gong, the striker and a support for a homemade gong. Make is as simple or elaborate as you like. We went all-out and managed to hang ours between two chairs. It sounded amazing! Fireworks In The House Or The Classroom! 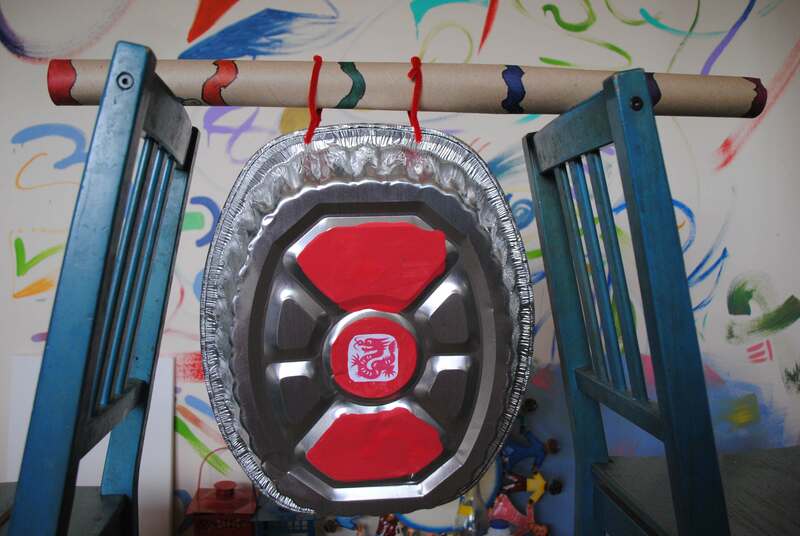 Last year I visited a preschool in Philadelphia’s Chinatown section and loved an idea that one of the teachers used. She distributed bubble wrap to each of her students and then played a video of fireworks with the sound turned off. As the students saw the fireworks, they were able to create their own fireworks or firecracker sound effects and they giggled, laughed and cheered as if they were at a real fireworks display during Chinese New Year. It was a creative and safe way to experience the fun, noise and activity of this holiday in the safety of a classroom environment. Visit These Other Great Posts! 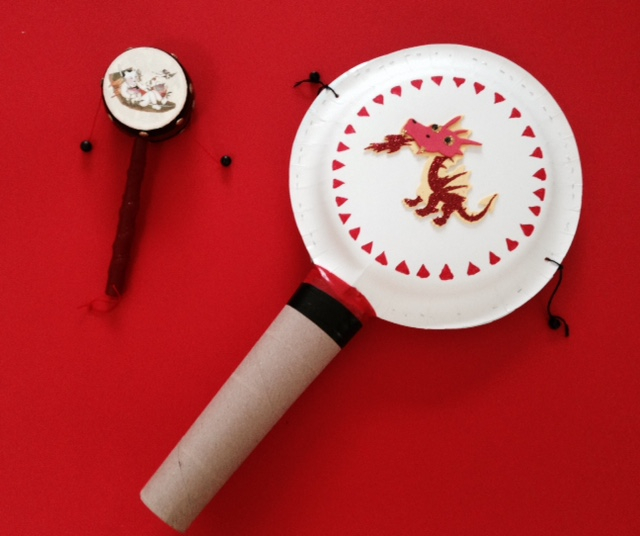 Chinese New Year For Kids – Music and Crafts! In 2017, the Chinese Lunar New Year begins on January 28th and we welcome in the year of the fire rooster! 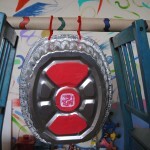 Over the past years, we’ve shared some of our favorite music crafts that are easy to make for all ages and use recycled and “on-hand” materials. 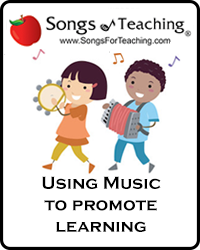 This year we decided to do share our 3 most popular music crafts as well as share our favorite Chinese New Year Pinterest Board, so you can explore a world of great crafts, foods, books, games and activities and related Chinese New Year Kids activities. 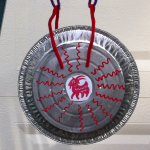 So bang a gong, make a paper lantern,color a New Years greeting and celebrate a beautiful Chinese Lunar New Year! 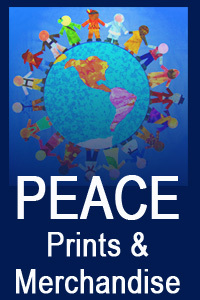 A World Of Great Crafts And Activities – Via Pinterest! 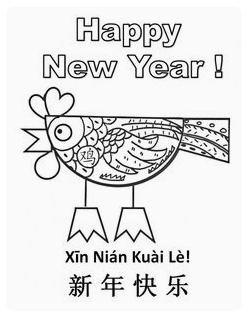 I’m proud to be part of the Multicultural Kid Bloggers networks who hosts a Chinese New Year Pinterest board. 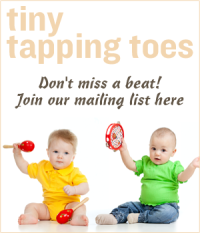 Visit here for an ever-expanding collection of great crafts, activities, coloring pages, books, foods and more. 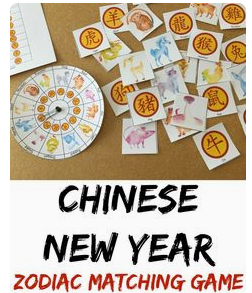 Some of our favorite are the pretty paper lantern craft, fortune cookie activity, the Chinese zodiac matching cards and … so … much … more!